“Jakov”, premiered at the Jaunas Muzika festival in Vilnius, April of 2012, is composed from sounds sourced from an old soviet-Lithuanian era electric organ called “Venta”. The unplugged organ was used as a percussive and tactile sound object, being rubbed, scratched, hit, banged, dragged, hammered, patted, etc. All these concrete sounds were woven into the multi-layered structure of the piece with some of the sounds being digitally processed. “Jakov” is dedicated to the composer’s father whom, in the 1970s and 1980s, worked in the Vilnius factory which produced electronic and radio equipment. In eastern Poland there is a small village called “Gwizdały” which in Polish language means “whistles”. Its primary school is the home of a unique museum of whisles, which collection includes several thousands whistles of various shapes, origins, ages and of course, timbres. 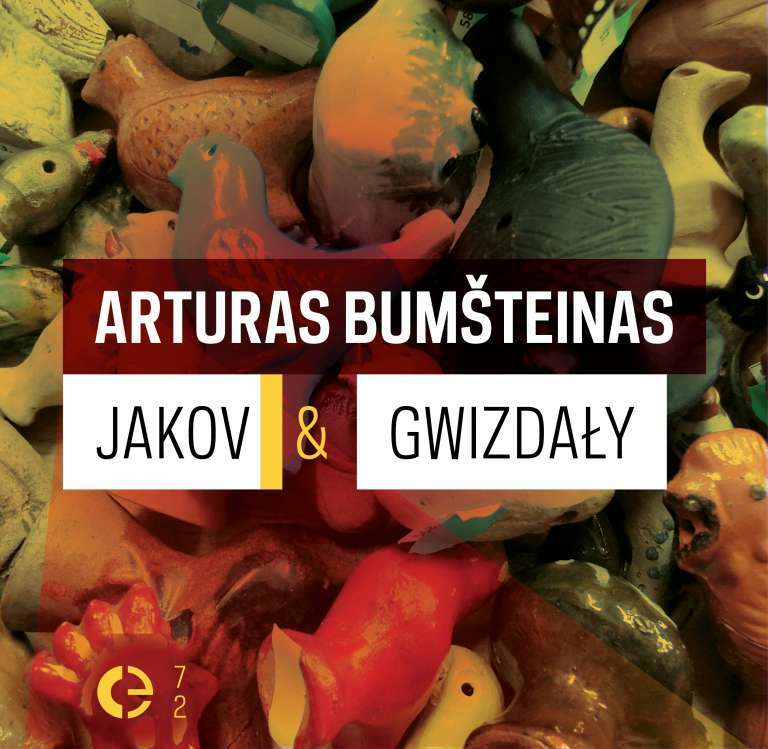 Some of these pieces were recorded in a discreet, clinical manner; later the collection of these sound recordings was used in two different parts of the “Gwizdały” project: a sound installation in the public space and an acousmatic concert in a concert venue. For the installation part the whistle sounds were assembled into a bird-song-like sequence with generous silences and were transmitted via a quadrophonic speaker system installed in Warsaw’s busiest spot, near the entrance to the Centrum metro station. The speakers were hidden from the eyes of passers-by, thus creating a ghostly experience. The second part of the project was realized in the darkened venue of Warsaw’s Ujazdowski Contemporary Art Center. In this concert the sounds were structured into more dynamic sequences and denser layers. The version now released is a mix of both installation and concert parts. The “Gwizdały” project was curated by Joanna Turek (Galeria A19 Marymont) and Andrzej Załęski (Sala Laboratorium / Ujazdowski Center for Contemporary Arts), Warsaw, April of 2012.